_______________________ Bookings: love@bigswing.se Promos: nibc@trunkfunk.com License & Remix Requests: maria@trunkfunk.com _______________________ BIO Berlin-based, Gothenburg-born Fredrik Nyberg has long been a key player on Sweden's music landscape. The last handful of years have witnessed NIBC going from strength to strength as a producer, DJ, collaborator, remixer, promoter, and label head of Trunkfunk Records. His recent smash house hit with Life So Far, You Let Me Go, was snapped up by the institution Ministry of Sound. Along the way, the tongue-in-cheek solo breakout The Doorman and props from his peers - the solo EP Hold On which was licensed to Ministry of Sound, the NME video feature and playlist support from Dubfire, Damian Lazarus and Todd Edwards for Spiders Spins, the nods from Miike Snow for "Rymdstungen" in their BBC1 Essential Mix, and the inclusion of "A Million Secrets" in DJ T.'s edition of Fabric's mix series - all contributed to NIBC's steady trajectory to uppermost ranks of house music. 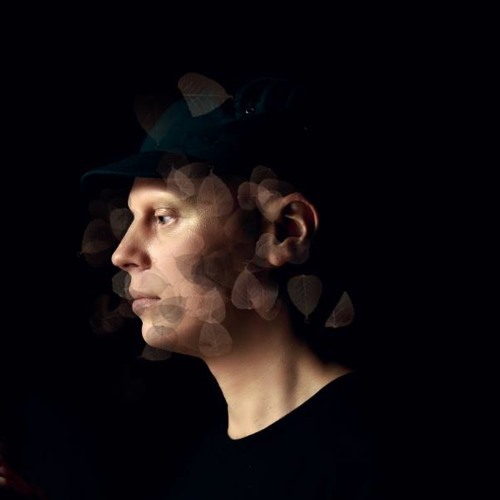 Near the beginning of his DJ career, within Gothenburg's early 1990s hip-hop scene, NIBC was inspired to create Claustrophobic Dimension, a pioneering local network for underground music and digital art, spurred on by his growing interest in techno and rave. Within a few years NIBC had fallen for house,and leading to him being voted the Best DJ of 2003 by Yo Media, and ranked #7 in Scandanavia's 100 Best DJ's Poll. From its first cut in 2000, NIBC's Trunkfunk Records has evolved into one of Sweden's most in-demand independent outlets, with releases from Stuffa, Hans Berg, Uniforms, Tyken and Trevor Loveys, and remixes from Ian Pooley, Axel Boman, Basic Soul Unit & DJ Assault. Showcasing both the underground sound of Gothenburg and NIBC's supreme A&R skills, Trunkfunk has won DJ support from the likes of DJ Koze, Moodymann and Annie Mac. In 2001 NIBC released his debut single Deliverance. Soon after, NIBC teamed up with Carl Ryden as Tyken, to deliver the across-the-board hit release Every Word. Buoyed by that success, NIBC formed Stuffa, the seminal pairing with Jonas Rathsman that undertook a new musical direction. Stuffa's anthem Pretty Girls generated a cult following in the summer of 2008, with heavyweight follow-up EPs in 2010 and 2013 - Proof, which boasted remixes from Wolf + Lamb, Scott and FCL, and the maximum-impact house bomb Levitate. NIBC has combined underground instincts with commercial success, to carve out an uniquely illustrious career. With his laser-focused view to further evolving his production signate and records label, 2018 is sure to be another landmark year for both Trunkfunk Records and NIBC.